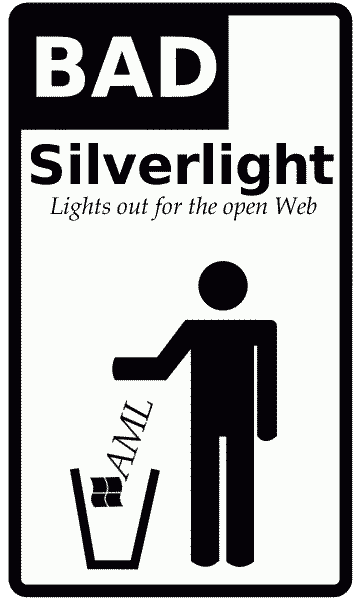 Interestingly enough, the States' complaint about Microsoft was fueled by Microsoft's attempt to 'steal' the Web using Silverlight. Apparently, just like their friends over in Europe, they understand what Microsoft is trying to achieve with XAML/OOXML/Sharepoint. If you are new to this major issue, here are a few posts worth reading because they also discuss Novell’s new role. The latest developments involve Microsoft vain attempt to dismiss all criticism and dust off all those States which have been on their back for months. Microsoft, which was found to be using its operating system dominance to quash other types of competing software, has operated since 2002 under the terms of an antitrust settlement struck with the federal government and 17 U.S. states. CNN has a headline which better demonstrates the vanity we sometimes refer to. Microsoft: Lay off the oversight, would ya? The Justice Department has extended the parts of the consent decree that have to do with technical documentation and server-software licensing through 2009. Do remember the many articles that explained why no real remedies were offered by the previous oversight period. Au contraire, in fact, if what we see in OOXML is anything to go by. The abuses, which even include briberies, must not go unnoticed. ”The Department of Justice will continue to be a toothless tiger that Microsoft controls by the leash and the whip…“The Department of Justice will continue to be a toothless tiger that Microsoft controls by the leash and the whip [1, 2, 3, 4, 5, 6, 7, 8, 9]. A few days we wrote about lobbying and political influence, which have become a multi-billion-dollar industry. If you need further evidence of the seriousness of this problem, look no further than Saturday’s news from the Seattle Time. They hired a lobbyist and started giving to a congressional campaign fund. The lobbying paid off. Soon, an $800,000 earmark for the Ludlows was tucked into a 2003 spending bill, giving their tiny startup, Mobilisa, a no-bid contract to provide Internet service on Puget Sound ferries.